After a while in the planning, this year we began to build our new chicken houses for our upcoming partnership with Moy Park. 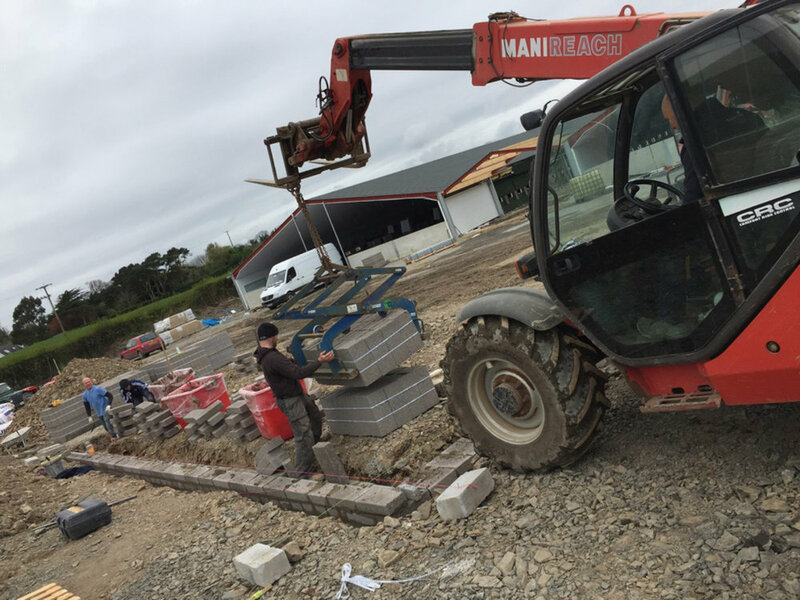 The two new sheds were constructed on our farmland in Killinchy, and will house our first batch of birds who are due to arrive in August. Click through the slideshow below to see how the project has been progressing. 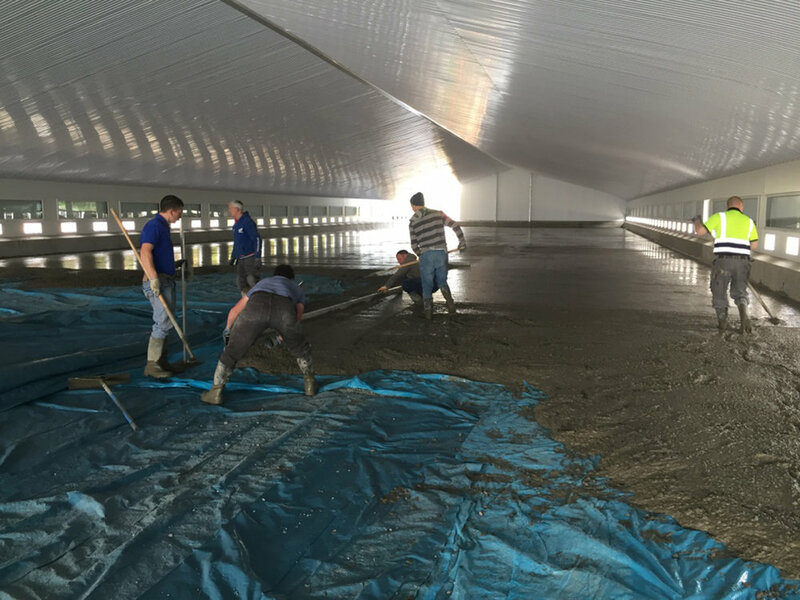 January 2017 marked the beginning of our new adventure on Millbank Farm; two poultry houses for Moy Park. 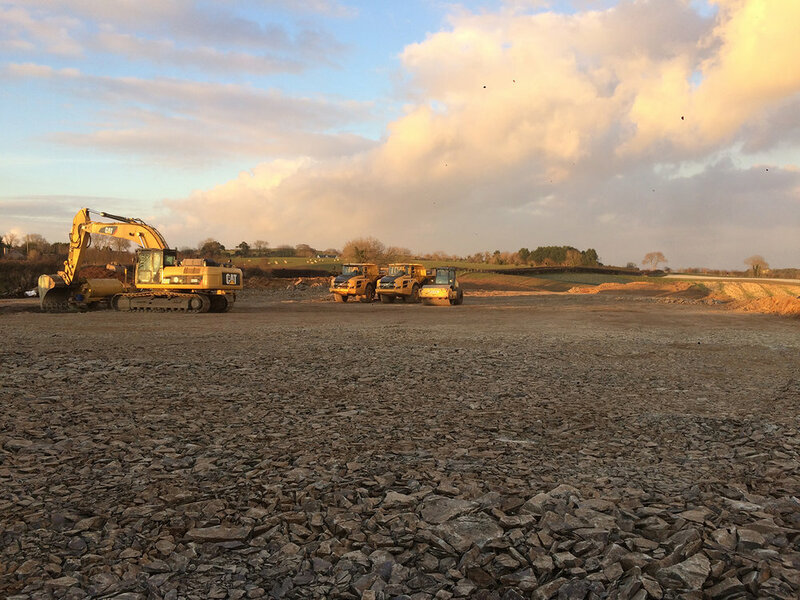 A team of bulldozers and dumper trucks began levelling out the field. In February the concrete foundations quickly followed. Once these were established it took no time at all for the steel work of both houses to be put in place. It was only now we could see the scale of the houses. The site rapidly started to take shape in March with the development of link room between the two houses, and the tin roofing to be completed. Having the roof on the houses enabled the concrete to be laid out. This took a couple of days to complete, ensuring it was dried correctly and finished to the appropriate smoothness. May was an exciting month as the first batch of equipment arrived, including things like the chimneys, feeders, drinkers and heaters all of which were installed. Suddenly the houses were seeming like a working chicken house and not just an empty shed! 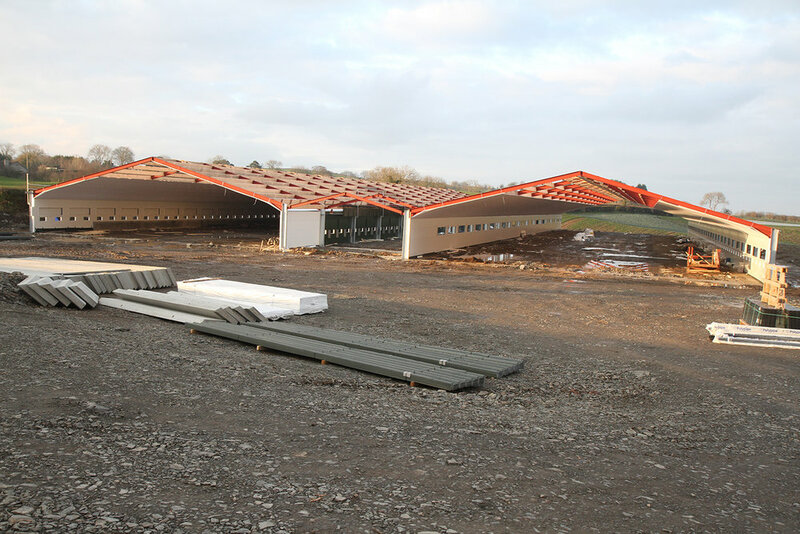 The RobLew feed bins and the weighing shed arrived meaning the sheds were not far off being fully functional. Along the road side of the poultry houses, the wild flower bee mix which was planted in May began to come into its own and blossom as the weather began to get warmer. The vast range of flowers often caught the eye of passers by, some even stopped and gathered their own unique bunch. Newer PostMillbank Farm goes live! Older PostTime for a trim!